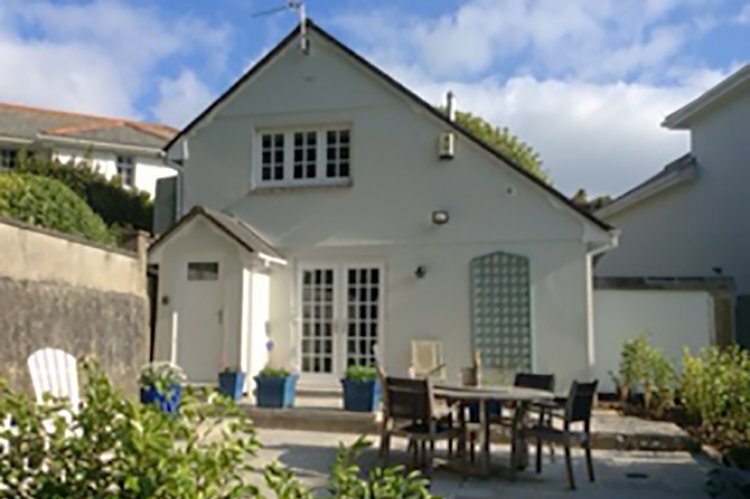 The Cottage at Trepenpol is a detached two bedroom cottage in the grounds of one of the large historic houses of Hayle, Cornwall. Sleeping up to three people comfortably in a double and a single room. With off-road allocated parking, private patio area being very well-equipped you are ideally located to explore all of west Cornwall. Just 300m walk down the road is the town of Hayle with shops, bars and restaurants to suit every taste. The Hayle estuary and pools make for an interesting walk and are a haven for wildlife. Lelant Saltings is a little further on, famous for rare sightings of migratory sea birds - bring your binoculars! From Lelant or St Erth you can catch the coastal branch line along some stunning coastline into the town of St Ives with its many shops and beaches. Hayle Towans is three miles of beach stretching from the estuary up to Godrevy Point. The coastal path leads along the dunes at the edge of the beach and offers stunning coastal views towards Godrevy Lighthouse or westwards towards Carbis Bay and St Ives harbour. Just 1.5Km away is West Cornwall Golf Course. The course has a magnificent setting and has been moulded around the natural contours of the sand dunes that form part of the Hayle Estuary and Porth Kidney Sands. There are panoramic views from almost every hole with St. Ives Bay and Godrevy Lighthouse forming a memorable backdrop. The Cottage is very well-appointed and has undergone complete renovation including new lounge, French windows and complete bathroom. From your private parking space you can enter the cottage into the ground floor living area with comfortable seating for three people and wall mounted LCD 'Smart' TV with DVD player. The well-equipped kitchen is just off the lounge. With its Miele appliances, granite work tops and limestone floor it really is top quality. Featuring a large electric oven with gas hob and extractor over, microwave, fridge/freezer and dishwasher. In a separate utility room there is a washing machine and tumble dryer. The new luxurious ground floor bathroom is from Villeroy and Boch, featuring bath with shower over, matching toilet and handbasin and a heated towel rail. Upstairs are the two bedrooms. Bedroom one is a double room with 5' king size bed, bedside tables, wardrobe and LCD TV with freeview and DVD. Bedroom two is a large single room with 3' single bed, bedside table and wardrobe. New double doors lead from the lounge to the private patio area with garden furniture. Next door is the owners' house. Rental includes bedlinen, towels, electricity, gas and central heating. Regret no pets and no smoking. Internet access is provided free of charge. Please note, The Cottage at Trepenpol accommodates a maximum of three guests (including infants), if unsure please call for advice.